Keeping Android data in the USB drive is the safest and the most reliable way. That small device holds all your data and you can carry it along with you anywhere. The thing is your Android device needs to have the functionality to be OTG compatible since all Android devices don’t support this. 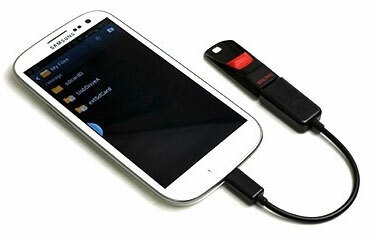 This article will show you how you can create USB backup for Android device in different ways. 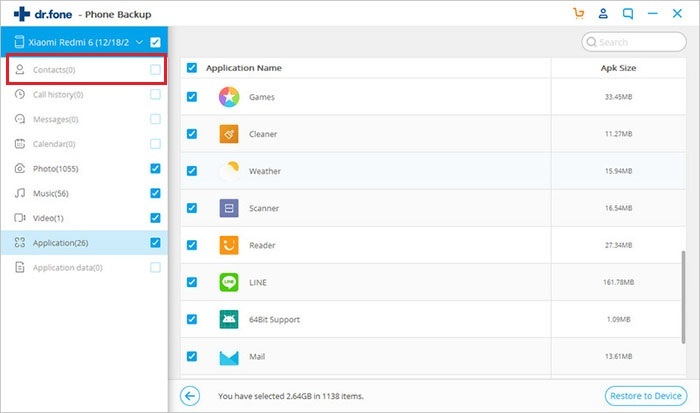 The first way you can try to backup Android to USB drive is ‘USB Backup’ application. It is available in Google Play Store and requires Android version 5.0 and above. 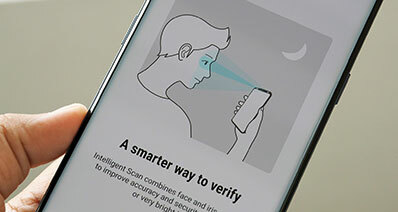 This application takes full care of your privacy. You can simply select folders, files, images to backup and export. Here are the steps to use this app. Step 1: Firstly, connect a USB device which is plugged via an OTG cable to your device. Tap ‘Continue’ and then select ‘Back up data’ option. 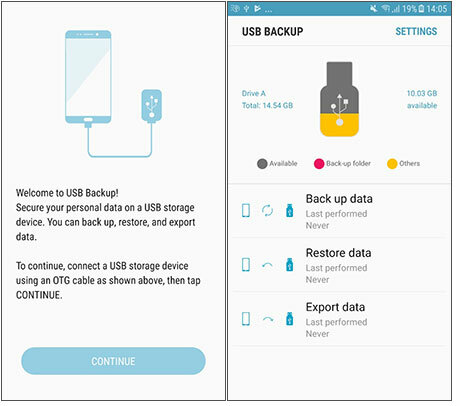 Tips: USB backup for Android enables you to turn automatic backup on with the help of which whenever you connect the same USB Drive and OTG cable, your device’s backup will begin on its own. You can also set backup reminder to remind you after one month that no backup has made till now. Moreover, you can set the notification which will inform you whenever your device’s internal storage is low. Here is the second and the most recommended way. 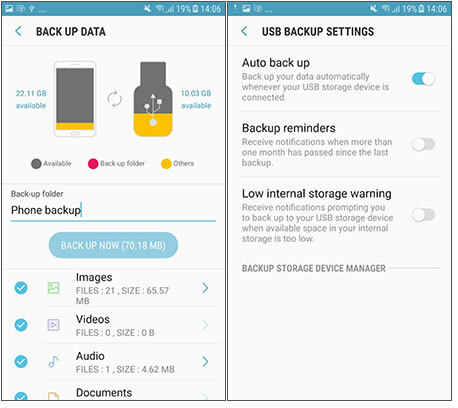 If you really want a completely secured way for Android backup to USB, the best option would be iSkysoft Toolbox - Android Data Backup & Restore. 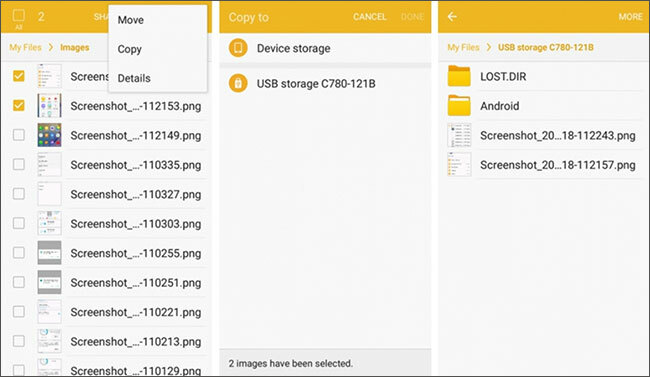 With the help of this tool, you will be able to export your Android data and then move it to USB drive. 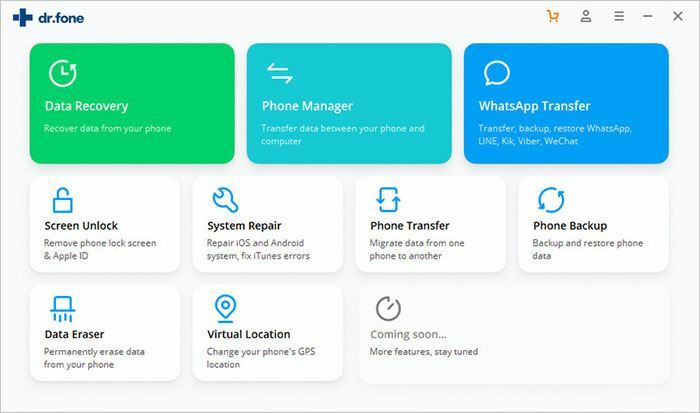 It has got some great features with it making it the most worthy tool to use when in need to backup or restore Android data. 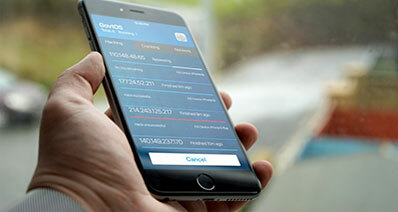 The reliability lies in its high success rate and the positive feedback by the users. On a plus, it promises high-quality results. Let us now discover its wonderful features that go like this. The tool’s special quality is it enables the users to backup and restore selectively. This means you can first choose and then backup the file type you only want to backup or restore. Another great thing about this toolbox is it prevents any replacement of old backup by the fresh backup files. Your data will not get overwritten if you use this tool. 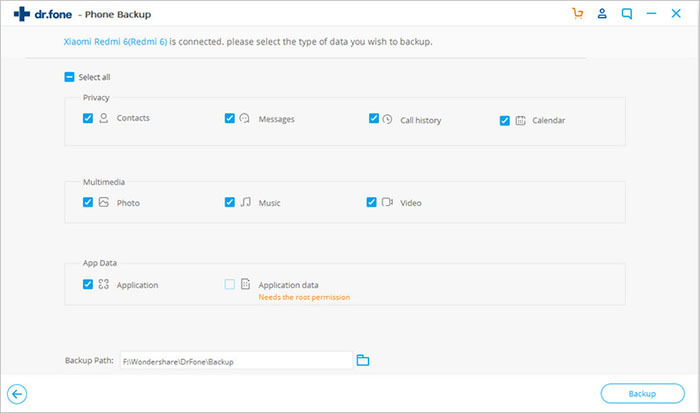 It offers preview functionality a well which implies you can view your backup any time or if you wish to restore. 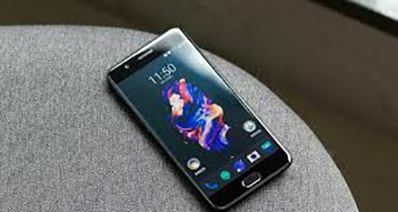 It is the most compatible tool supporting almost all Android devices and multiple numbers of file types, including contacts, messages, call logs, photos, music, apps, etc. Go to the official website and download the software from there. Install and then launch it in your PC. From various tabs, click on ‘Data Backup & Restore’. Now, enable USB Debugging in your device and connect your Android device to the PC using a digital cable. 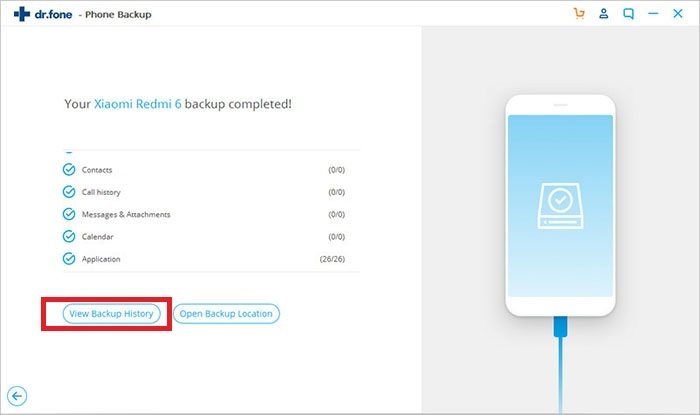 The device will be detected by the program and you need to click on ‘Backup’ button now. As soon as you click the ‘Backup’ button, your data will start getting scanned by iSkysoft Toolbox and will be presented in front of you. The data will be organized in categories. Choose ‘Select all’ option or you can selectively backup by checking each box next to file type. When done with the selections, click on ‘Backup’ button. Keep the device connected until the process gets over. You can also preview the backup by clicking on ‘View the Backup’ button. 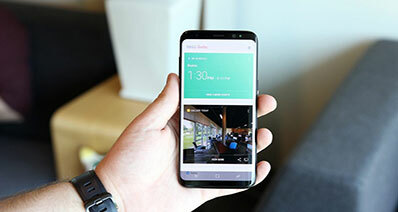 Now that you have exported all your Android data into the computer, you can now connect the USB drive to the PC and transfer the data to it for future use. 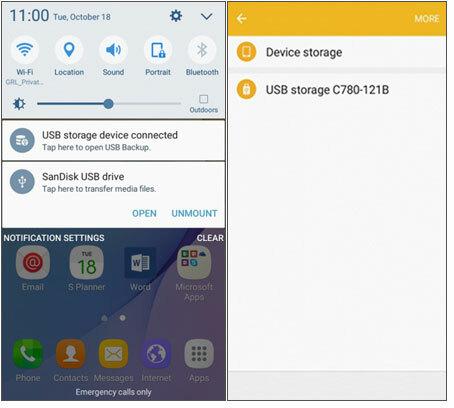 This section will show you how you can backup Android to USB drive on your own. You will need an OTG cable for this process. Connect the cable with your Android device and then connect a USB drive with it. Now, launch File Manager. When you open your File Manager, the first screen will show different storage types i.e. Internal/Device storage, SD card (if any) and USB storage. Open the one from which you wish to make backup let’s say internal/device storage. Now, you will get your data in various categories, for instance camera, documents, screenshots (if any) etc. Select the items that you want to backup. After selecting, tap on ‘Copy’ option and go back to the first page to get into the ‘USB drive’ option. Paste the items there and repeat the process with other file types too. This way, you will backup Android to USB drive manually. How to Restore WhatsApp Backup without Uninstalling?